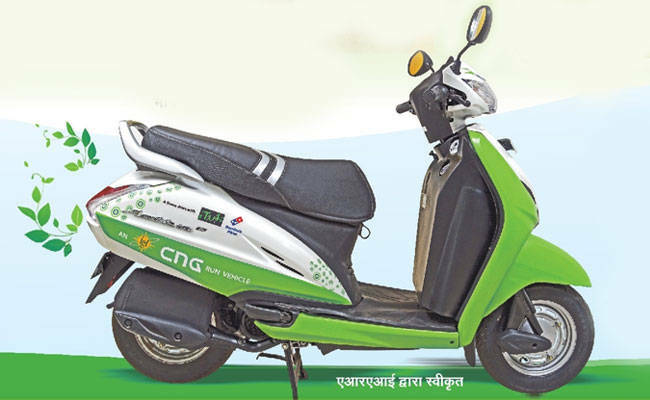 Maharashtra Natural Gas Limited (MNGL) has launched the CNG Kit for Scooter like Activa in Pune. The Step has been taken to Seeing the rising pollution in Maharashtra. The Kit will Cost around 16500 Rs and It is Approved by Automotive Research Association of India (ARAI) to maintain the safety to ride it with CNG as Fuel Option. This CNG kit is Manufactured by Private Company and launched on 23th Nov by MNGL with presence of Regional Transport Office. With 5 Honda Activa 3g Fitted with CNG Kit were flagged of from BPCL petrol pump located opposite RTO. I want to purchase CNG Activa and give me date for launch CNG Activa and Price in Pune city. I want to buy Activa CNG. When expected to Launch in Pune. I want to know CNG activa availablity date in Pune & Where will I get to see activa cng in pune ie showroom address in pune. please share Activa CNG details for pune. But our activa dealer say there are not any instruction about it . please kindly help me registration for CNG activa.